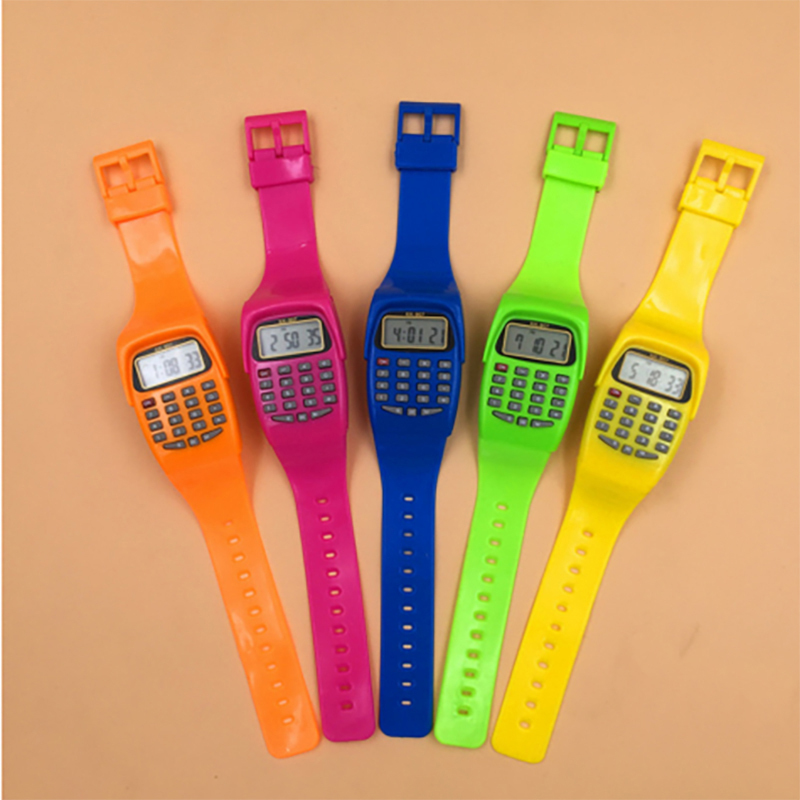 The versatile electronic wrist calculator watch is made of polypropylene and PVC. Stylish design calculator watch with its compact size for carrying a relaxed and glamorous look. Two functions in an electronic watch, very suitable for businessmen, housewives, students, etc. It is also a calculator. The size is 8 11/16"L x 1 3/8"w. The watch calculator function can perform addition, subtraction, multiplication, and division. It can display not only the month, date, hour and minute, but also the calculator. Easy to use. Welcome to inquire and customize your products and logos! Package: 1 pc/opp bag, 1000 pcs/ctn, 46 lbs/ctn.